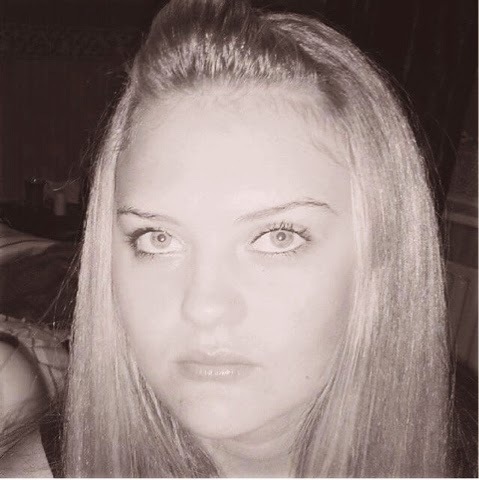 Diabetes T One - Blogs : AN ESSAY WRITTEN BY CATE, 16 yrs old. Recently diagnosed with type1 diabetes. My whole life, I have been presented to a single element called change. Change occurs in many different forms and is carried out in many different ways. However, just recently, I have come to the realization that change can be the deepest of all subjects. I always assumed that change occurred when you moved to a new town or when you lost someone close to you. Those are elements to change, yes, but change doesn't have to occur over a single dramatic event. It can just happen overnight when your brain determines it's time to do something different. For obvious reasons, people reject change. Especially people who are close to each other because they feel that this change is going to separate them and change the relationship they once had. They fight the change until they get forced to change anyway. It's sad how this works, but in reality, it's probably the single most reason why people change. The people we love, love us so much that they want us to remain the way we are forever. Forever is a long time and no one can never change. Change is a part of life, something that will always happen no matter what anyone does to try and stop it. My view of the problem is that change is an indispensable part of our lives, so people should accept this fact and try to learn how to tackle it rather than avoid it, which is impossible. There are any number of setbacks that people can be tested by; the changes to one's life can range from major to insignificant, casual and undemanding to extraordinary and even painful. I experienced an irreversible fortune that was both common and catastrophic. Being diagnosed with Type 1 Diabetes taught me that no matter what hardships may befall you, any problem can be overcome with your family beside you. I first noticed something was wrong with me a few weeks before my mock exams; I was excessively thirsty drinking almost 15-20 liters a day, always tired and weak with frequent mood swings. I wasn’t eating and when I did it came back up. I was so exhausted I could barely get myself from my bed to the bedroom door. I sat through mock exams with barely any vision and no sleep the night before. When my mom took me to the doctor, I was diagnosed with Type 1 Diabetes. I was completely and indescribably shocked but so relieved to know that I wouldn’t feel so weak and helpless anymore. I had little understanding as to what Diabetes was and everything that came with it but why ME? When I left the hospital, after being in for over a week, I realized I was going to have to grow up and deal with the realities of my disease. 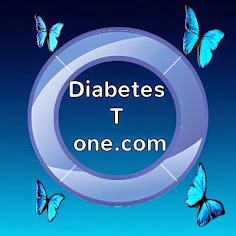 I learned that Type 1 Diabetes was an autoimmune disease, which meant my immune system had attacked and killed off all of the insulin-producing beta cells in my pancreas. Type 1 Diabetes does not discriminate; male or female, young or old, any race or nationality. Anyone can be at risk. I also learned that in order to stay alive, I would have to test my blood glucose levels several times daily, count every single gram of carbohydrates I ingested, and take injections of insulin regularly. I also learned about diabetic seizures from low blood sugar, DKA or comas from high blood sugar, and the long term complications of diabetes such as blindness, kidney damage and amputation of limbs. My thoughts and feelings quickly melted into lukewarm emotions of "why me?" I was scared and uncertain about what the future held for me, and so was my family. But one of the best life lessons I learnt from my diabetes, I learnt to accept things as they are. By dwelling on things that cannot be changed will drive one crazy, so I decided to change to meet the needs of my disease. I walked in the hospital a sick child and I walked out of the hospital an insightful young adult. Initially, I did not have the ability to handle the personal situations that I was going to have to face on a daily basis. The social pressure brought on by feeling different was difficult for me. When returning to school, I had a paranoid fear that other kids would start to treat me different. I feared funny looks and pity parties, so I took every precaution possible to keep my disability masked. I have discovered that most are very interested and compassionate about my diabetes and I have learned that those who are not accepting of my disease are not worthy of a friendship. Finally, I have learnt to cope with what life has given me. When one is diagnosed with diabetes, they are given a choice, to accept their condition or not. People who die from diabetes choose to live in denial about the disease. I have chosen to take control of my life and accept it. Diabetes has taught me that when life gives you lemons you have to make lemonade. During challenging moments, I just tell myself it could be so much worse. That is the mentality I live with as a result of diabetes. I make a conscious effort to avoid pity-parties and to avoid hiding behind my diabetes when I fall short. I have learned to take care of myself and manage my condition. As a result of this disease, I am more responsible, and educated about life. I wish it had never happened, but it has been life changing for the better. Yet, diabetes is an erratic disease and being only human, I do get frustrated with the never ending challenges of my condition. However, as a result of dealing with my problems and differences, I have developed empathy for others and their challenges. Diabetes has changed my whole life and exactly what I think of it. I accept all people for who they are because I would want the same for me. After all, can be difficult. Having diabetes has made me aware of the immutable fact; none of us are perfect. Thus, life is not be just a bed of roses; thorns are also a part of it and should be accepted by us just as we accept the beautiful side of life.Thus, enjoy life but also be prepared to bear the pricks of pain and the changes that are inevitable. Live every moment as if it were your last, take every breath as if it were the last bit of oxygen on this Earth. As there is a saying every cloud has a silver lining, hope is always there for us.